The Hotel de la Cité is a magical place located in the heart of the medieval fortified city of Carcassonne and is part of the MGallery Collection. 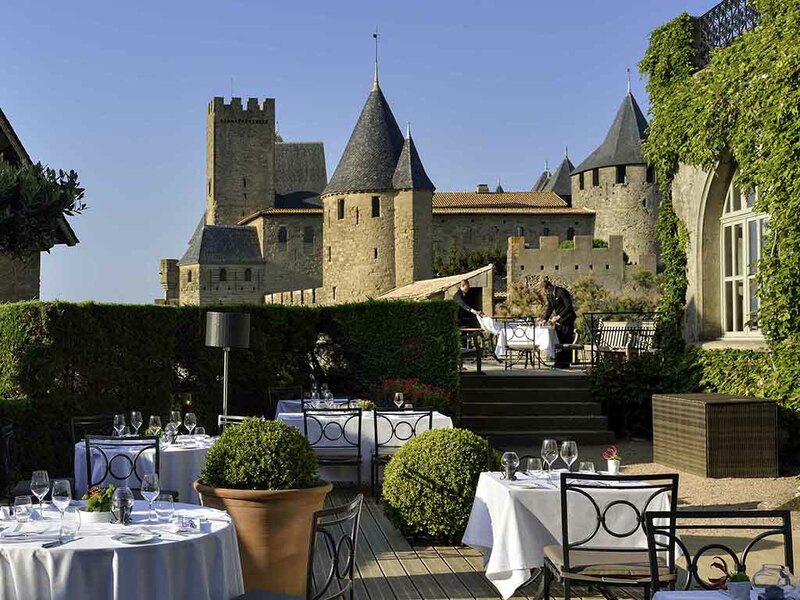 A 5-star hotel located within the walls of Carcassonne, built in the 19th century in a Neo-Gothic style. The hotel has 47 rooms and 13 suites and also features an outdoor pool and shaded park. Discover a hotel where the art of hospitality is paired with gourmet dining from Chef Jérôme Ryon at the Barbacane restaurant. A charming destination in the heart of Carcassonne. A dominant position overlooking ramparts made up of 52 watch towers, which offers extraordinary panoramic views. Sculpted wood paneling, ornamental tapestries and stained-glass windows - everything comes together to create a warm and intimate atmosphere. Spacious rooms elegantly decorated in a sophisticated French style and pleasantly furnished thanks to the know-how of local artisans. Immerse yourself in the warm atmosphere, take a seat in our impressive library and leaf through the hotel records dating back to the 1930s, all while enjoying a whiskey or Armagnac from our remarkable collection.